With so much happening within the world of search engine optimization lately, many webmasters are extremely confused over best practices in SEO. Yes, many of the spammy SEO techniques that used to work have been weaved out. And SEO is no longer as cheap and as easy as it was before. But throughout all the changes, the fundamentals have remained the same—quality content remains king. With the constant algorithmic changes, I think there will soon be a fundamental shift in the way internet marketers think about SEO. Instead of focusing so much on off page SEO, I think many SEO experts and internet marketers will now being to focus more on ON-page SEO and quality content. Having your target in your content is the most basic of your on-page SEO checklist. If you do not do anything else right, you have to get this right. Not having your target keyword in your content will make it extremely hard to rank for your target term. Preferably, you should have the target keyword in the first paragraph of your content, preferably in the first few sentences, as it shows priority in the search engine’s eyes. Back a few years ago, some “SEO experts” were recommending using a keyword density as high as 8%. That means, your target keywords would occupy 8% of your total content. This was known as keyword stuffing—and it no longer works as an effective SEO method in 2012. Search engines want a natural feel to your content. Google has always said that you should write for the readers, and not the search engines. So while having the target keyword in your content is important, it is also important to use the keyword in moderation. Google’s algorithm is now good enough to recognize a plethora of spammy on-page SEO methods, such as keyword over-optimization. 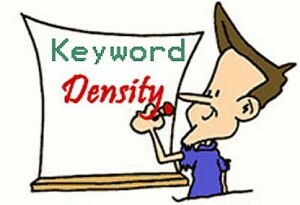 As a rule of thumb, you probably don’t want to aim for a keyword density that is over 1-2%. If your keyword density is too high, it might get your site red flagged by the search engines. Remember, your content should be tailored to the reader first and foremost. A very popular technique used by many internet marketers in the past was to register exact-match domains for their keywords. So if the keyword they were targeting was “bad credit score”, they would register the domain badcreditscore.com/net/org. This was an extremely lucrative practice that enabled webmasters to easily rank their sites. This however, is no longer the case. The search engines caught on to this practice and have since devalued exact-match domains (EMD). The latest blow was dealt to this practice when Google came out with their EMD algorithm change that further devalued the importance of exact match domains. So does this mean that having an exact-match domain or a near exact-match domain is no longer valuable? No, not exactly. It means that you can have an exact match domain but you will need to put up quality content and do some SEO in order to rank well. You will no longer be able to ride the exact-match gravy train. It has passed. Page titles, also called H1 tags or title tags, tell the search engines what the overarching theme of your page is about. Ideally, your H1 tags should contain the keywords in it. For instance, if the keyword you are aiming to target is “credit score range” then some title tags you can use are “How Is Your Credit Score Range Calculated?”, “What’s The Average Credit Score Range?”, or “Credit Score Range And Its Importance”, or simply “Credit Score Range.” Although there is no concrete proof of such, some in the SEO world believe that if your target keyword being closer to the beginning will make you rank better. So with the example above, the title page “Credit Score Range And Its Importance” will rank better than “How Is Your Credit Score Range Calculated?”, given that all other things are equal. H2 tags are also extremely important to on-page SEO. H2 tags are used separate your content into separate subsections. H2 tags also follow much of the same guidelines as H1 title tags. 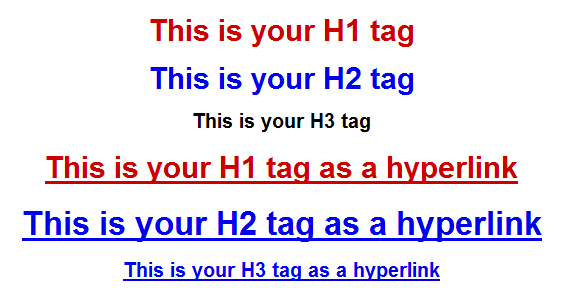 H2 tags are used to target either tertiary keywords or different variations of the same keyword. Ideally, you would want 3-5 H2 tags in your content, all targeting relevant keywords. Latent Semantic Indexing (LSI) is a method of crawling and ranking pages. It is just another fancy way of saying “related keywords” or “related terms.” This was Google’s direct response to people stuffing their meta tags with hundreds of keywords. It is important that you not only have the keyword you are targeting in your content, but it is also extremely important to use synonyms and related terms throughout your article. For instance, if you are writing about credit scores, it is important to have related terms such as “fico score”, “bad credit”, “bad credit score”, “credit history”, “credit cards”, Experian”, “Transunion”, and “Equifax” in your article. Using related keyword also ensures that in addition to ranking for your targeted keywords, you will rank for numerous other synonymous long tail keywords. There are a couple of methods to find related keywords to weave into your content. The first way is to simply rely on your intuition. Ask yourself, “[I]f I was searching for this, what other keywords would I use to search for this information?”. The second method I will talk about is what most SEO consultants and internet markets use. They obtain related keywords by using Google Keywords Tool. In order to use the tool to its full capacity (see 800 related keywords), you will need to sign up for a Google Adwords account. Once you do so, access the Keyword Tool simply by typing in “Google Keyword Tool” in the search engine. In the search box, you can go ahead and type in your main keyword. After typing it in, you will see the tool give you a list of 800 keywords. From hereon, you can further filter out your results by competition, local monthly searches, and global monthly searches. Furthermore, you can include or exclude terms in the results. Additionally, you can search by match types. Exact Match: An exact match contains only those words you search for an in that specific order. So if your main keyword is “credit score range” and the tool gives you a monthly local search volume of 33,000 a month, then it means that specific keyword, in that specific order is searched for in your country 33,000 times a month. There is empirical evidence that show the longer your content is, the better it will rank. Many search engine experts agree (such as Neil Patel of Quicksprout.com and Aaron Wall of SEOBook.com) that longer more comprehensive content ranks better and for more long tail keywords. However, keep in mind that I said comprehensive. The content piece should be long, but it should not be redundant. Instead, it should be comprehensive and complete so that the searcher can find anything and everything about the topic—without having the need to go anywhere else. So what is the ideal length for your content? There really is no ideal length, although the current SEO trend seems to suggest at least 1000 words. Your content should be enough to answer any nagging questions the searcher may have concerning your topic. Sometimes, there is only so much you can write about a topic and it may be hard to fill your page up with content. Take for instance the topic of “credit score range.” The credit score range is 300-850. That answers the most basic question the searcher is looking for—in that one sentence. However, you can add much more to the user’s search experience by supplementing the basic answer with additional information that is related to the query. Some additional subtopics you can discuss are things such as “What Is The Average Credit Score”, “Who Invented The Credit Score Range”, “What Determines Your Credit Score Range”, “Why Your Credit Score Matters”, and a plethora of other credit-related topics. Writing about those subtopics alone will probably make your content go over 1500 words. So to write comprehensive content, you need to broaden your scope and think about the user. What kind of information is useful to your visitor when they are searching for that specific topic? What kind of content is relevant and useful to the search query? Meta descriptions are HTML attributes that provide a short explanation of what your page of content is about. Although meta descriptions and meta keywords are a lot less important now than they were when search engines first started, it is still useful to have them. That is because in the search engine results, they are used as content preview snippets of your content. The ideal length of your meta description should be around 160 characters, as most search engines will not show more than that. While meta descriptions are no longer as important as they once were for search engine rankings, they are extremely important for search query click-through rates. To have a high click-through rate (relative to your search engine position), you should include your target keyword in your meta description. Is It Necessary To Use Meta Descriptions? Like I previously stated, meta description is no longer a ranking factor in Google’s ranking algorithm. But should you still use it? According to SEOMoz, if you are targeting a few main keywords (3 or less), it might be smart to include the meta description along with the keywords in there. However, if your specific page is targeting more than 3 keywords (such as a catalog page for instance), it may be generally more advisable if you let Google extract what they feel best relates to the search query. Many internet marketers do not think about images but they are an important component of searchability. Remember that Google is also an image search engine too—the largest one. By having an image with alt tags, you enable people to find relevant content via Google Image Search. Before we go into the importance of alt tags, let’s talk about what it is first. Alt tags are HTML attributes used to describe content that is not written in pure text. It is most commonly referenced when talking about images. The alt tag is important because search engines cannot read what your image is about like they can with raw text. Thus, the alt tag attribute allows for you to tell the search engines what the picture is about. Not having alt tags is negligible if you are using general pictures that aren’t quite relevant to your content. However, if your site is heavily focused on images, or the images are heavily related to your content, then it is extremely important to have image alt tags. As a general rule of thumb, any image that you upload onto your site should contain alt tags. If your site content is mostly text, the alt tag in your picture should be about the content, not the image. For instance, if you wrote a blog post about the idea of not giving up and you have a picture of a tired runner, your alt tag should ideally be “never give up” or something along those lines. Interlinking, or deep linking, is a practice in which you link the separate pages on your website together in the body of your articles. Many internet marketing experts concentrate on obtaining links from other sites for link juice. But they are forgetting the link juice that they can acquire from their very own websites by interlinking. It passes link juice: If most of your external links are going to your front page, then that means your front page is hogging all the authority and link juice. Your other pages will essentially have no authority if the link does not flow into them. In order to pass some of the authority onto your other pages, you will have to link to them. It increases site relevancy: You won’t be able rank for every keyword you want with one single article. That is why you have multiple articles. Once you have multiple articles and link them together in the content, Google will seem them as related and relevant—and will therefore rank them higher. Help with your site’s visibility: This is especially important for a large site or site without proper navigation. Too often many of the articles you’ve written are not read because you have not directed your visitors to them. By interlinking your content, you will enable your visitors to read content they may have otherwise not been read simply because the user did not know about them. It helps with site metrics: Directing your users to another page of yours is a great way to keep users on your site. Having them read other content on your site will increase their time on your site as well as their pageviews. These metrics are extremely important if you are to sell ad space to advertisers. They are also important for decreasing bounce rates and dwell time, which is rumored to be a determining factor in Google’s ranking algorithm. It increases the overall user experience: The benefits your website gets from deep linking aside, the user also benefits from you interlinking your pages. By interlinking the pages, you are creating a good user experience by laying out your data and content in a way that makes it extremely easy for the user to navigate and consume. Interlinking your pages is easy. You should probably not overdo it though. That means, half of your article’s content shouldn’t be links to your other pages. It doesn’t create a very good user experience. However, interlink wherever relevant. To do interlinking properly, you need to interlink with the appropriate anchor text. For example if you want to interlink to a page that talks about fixing bad credit, then you may want to use the following anchor texts to link to that page: fixing your credit, raise your credit score, fixing your bad credit, bad credit, etc. This is because the anchor text should be related to the overarching topic of the page you want to link to. Additionally, some of the anchor text should also be target keywords you are trying to rank for with the page you are linking to. Also when thinking about interlinking, try to pick out the most important pages and interlink to them most often from your other pages. This tells the search engines that those pages are really important. Additionally, the more links those important pages have, the more authority they have, and thus the higher they will rank. I have hyped up interlinking quite a bit, but it should be very clear that interlinking should not replace or augment link building from external sites. Those are still the most valuable links at this time in the world of search engine optimization, and will remain so until the unforeseen future. So while interlinking will help your site rank, you should also provide quality content that users can link to and share socially, as well as try other methods of getting external links. 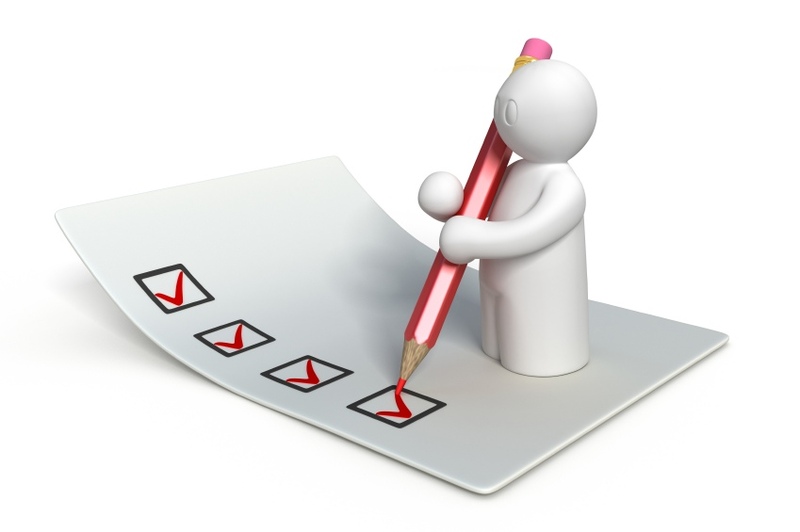 We have just gone through an in depth checklist of on-page SEO. As you can see on-page SEO isn’t hard—but many people do not do it right. So before you begin promoting your site and trying to do off-page SEO , make sure that you are at the top of your game with your on-page SEO techniques. Start with the basics, and then from there you can go into more advanced techniques. As usual, if you enjoyed and learned something from this article, please share it on Twitter, Google plus or Facebook. My name is Felix. I have build ProOptimization to help you take your online marketing strategy to the next level. The thing is that I hate to see people wasting their time with techniques that are outdated. My goal is to help you learn how you can grow your website's traffic and make your online business a success. If you like my posts, you can follow me on Twitter or Google Plus. Great tips for optimization post panda penguin and EMD! Great posting and you shared a lot of useful information. Thanks. I agree of this article. campaign is also where the bulk of the whole SEO campaign is found.